Location! Location! Location!Turn Key Investment! No delayed Maintenance, easy managed!Upscale apartment complex. easy access to I-10, I-710. South of Huntington Blvd and North of Main. Quiet environment with closed by Alhambra Downtown restaurants, entertainments and Excellent school district.5 of the 6 units have been renovated in recent years. Owner pays water, hot water, sewage, gardening and garbage. Property is well maintained. stable tenants. Brand new Laundry room with new coin operated Washer & Dryer (no contract and owned by the landlord) for additional income.New carport roofing(completed in July2018), existing roof less than 10 years per previous owner. Upside rent potential.Property to be sold together with 316 N. 4th Street due to common driveway. Total of 6 units in one building: 2/ one bedroom units; 3/two bedrooms units, 1/ Three bedroom unitPlease do not disturb tenants. showing upon acceptance. 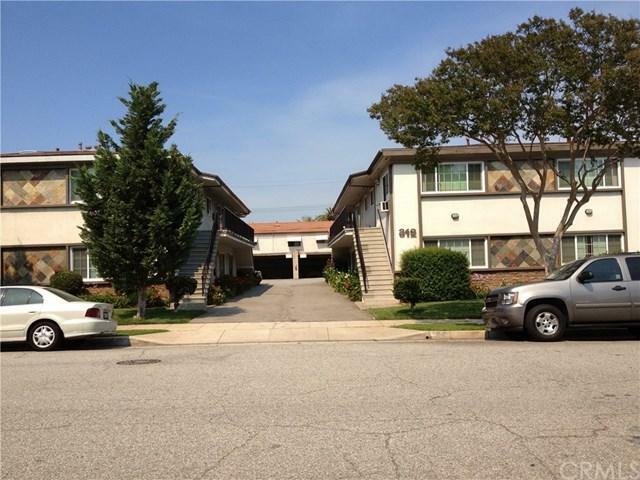 Sold by Ivan Perez of Realty World California Properties.